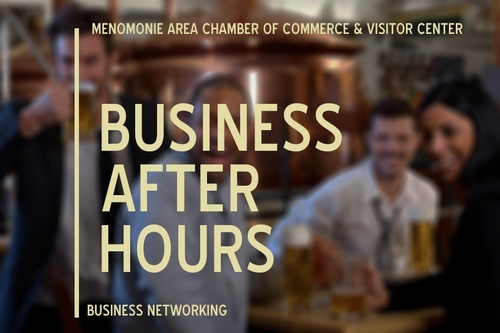 Join us for Business After Hours. This is a great networking opportunity in a casual environment. Don't forget your business cards. Sponsored by Best Western Plus and Stout Ale House. $5 for members and $7 for non-members. © 2018 Menomonie Area Chamber of Commerce. All Rights Reserved. Site by GrowthZone.